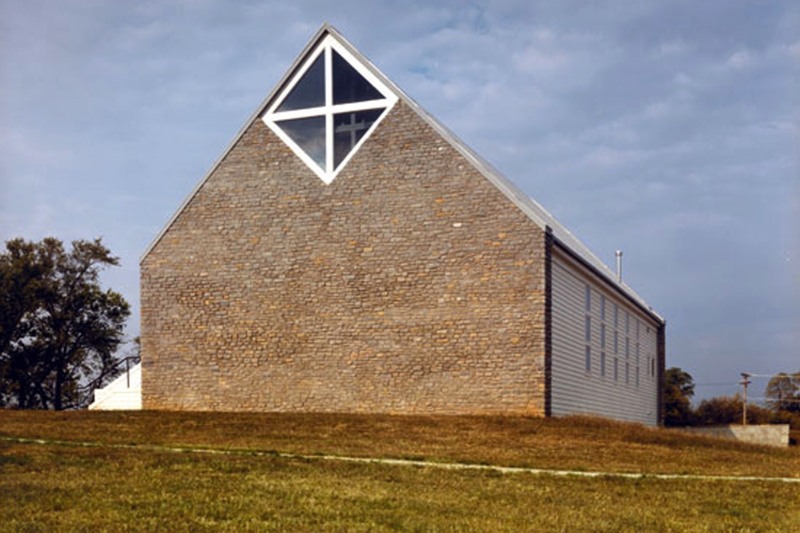 The design challenge of this project was to provide a small rural church within the client’s modest budget. 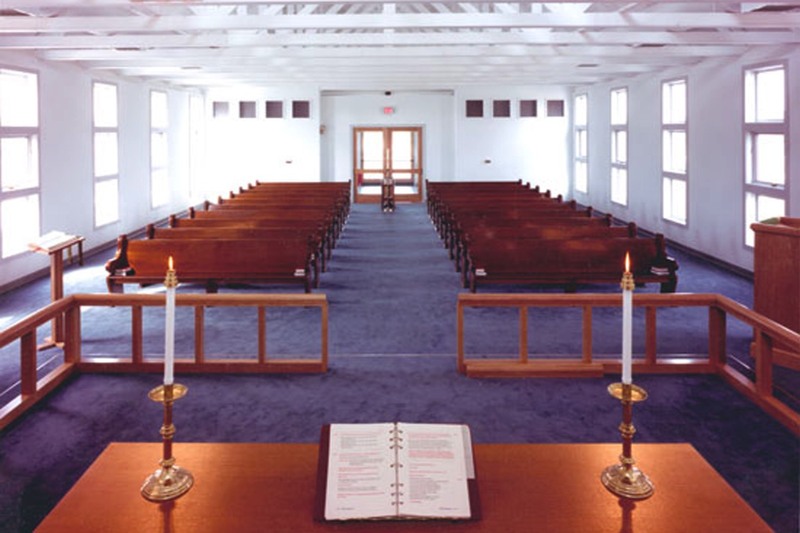 The design provided a facility for 200 parishioners, featuring a traditional nave, choir, sacristy and vestments room. The undercroft contains support areas, including six classrooms, choir room, nursery, and kitchen. 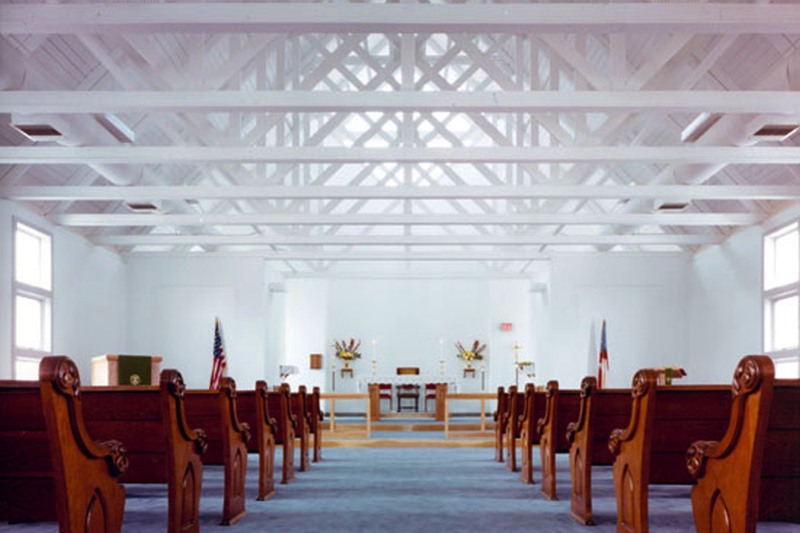 The simple traditional cathedral form is realized though the use of local materials such as limestone, wood siding, and metal roofing. The wood frame building employs typical residential building techniques to achieve unique effects. 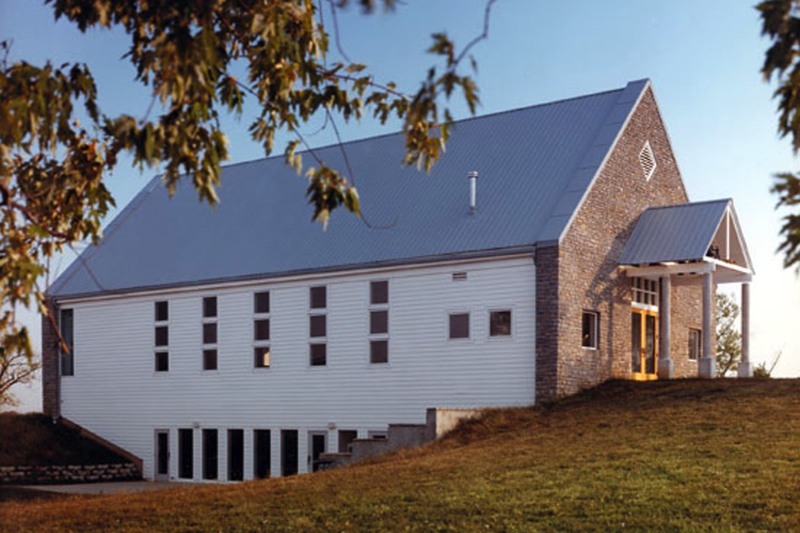 The two stone end walls, the wood siding, the metal roof, and the silhouette recall both rural churches of the 19th century and the Kentucky barn. Inside, the play of light in the high ceilinged nave reinforces a sense of grandeur achieved through a sensitive use of humble materials.